A chat with Patrick Wand, recorded in person while at the Tema Gala week back in February. 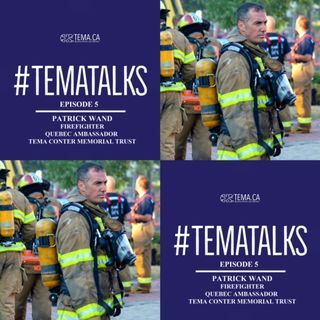 Patrick is a Captain at Montreal Fire Station 74, and is the Quebec Ambassador of the Tema Conter Memorial Trust. Also learn about the fund that has been set up for the First Responders affected by the the tragic incident involving the Humboldt Broncos Hockey Team.